Chickens, veg and everything else! 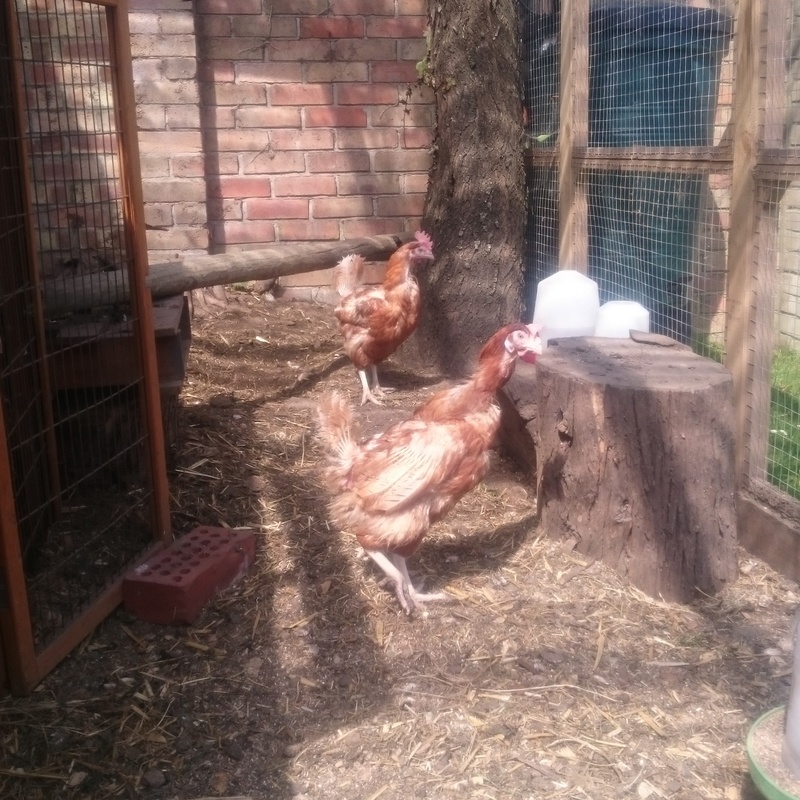 Since my last blog, following the fox attack, we’ve gained two new rescue hens. They haven’t been named individually as they look the same, so they have been called ‘The Twins’. They only took a week to settle into the flock, much quicker than last time. I think we’re getting the hang of introducing new birds. Our other three girls, Violet, Ginger and Snowball, have all recovered well from the attack and are back to normal, although Violet still limps slightly. One thing it did make us decide though, is not to continue with building our own chicken house. For those of you that read and follow my blog, you will know that we were building our own chicken house, for under £30. It was going well. We have the base, sides, a door and ramp, perches, nesting boxes. Everything except the legs and the roof. However, having seen how clever a fox can be and how determined he was to get to our girls, we don’t trust our building and DIY skills. If anything happened to them again, and it was because our house wasn’t secure enough, we’d never forgive ourselves. Our chickens’ safety comes before saving money. So, apologies to anyone who was following to see how that project panned out. On another, non chicken related note, my veg garden is growing well. We had our first meal last night using home grown peas and mange tout. I can’t say they tasted any better than shop bought, but it was satisfying to know they were out of our garden. Pencil radishes on the other hand, have proved disappointing. Huge, promising greenery on the top, and very little beneath. They were a free pack of seeds with my order from Mr Fothergills, (http://www.mr-fothergills.co.uk/) so nothing wasted, but I wouldn’t buy them. Next year I will try the proper round radishes instead. Last year I had rubbish luck with courgettes, only getting a single small courgette through the whole season! This year is looking more promising so far. But we will see. Something I haven’t blogged about for a while is moving house. We’ve been to see a few properties recently. All lovely in their own way, but not quite right one way or another. To say I’m getting frustrated is an understatement. Another frustrating thing is that I have acquired a shepherd’s hut. There’s one at my family farm, that is rotten and sunk into the ground. It’s been there for over 50 years apparently. It’s something I grew up seeing every day and would love to restore. At the recent Bath & West Show, I met a lovely man who restores shepherd’s huts, and to my surprise, he lives locally (www.plankbridge.com). His huts look stunning and I have no doubt that he would do a fantastic job restoring ours to something beautiful. I spoke to my Uncle about this, and he has no interest in the hut, but has said I can have it if I want it. Excellent. How exciting. The problem? I have nowhere to put it once restored. I need to find my new home with land first. Another reason to find something soon. 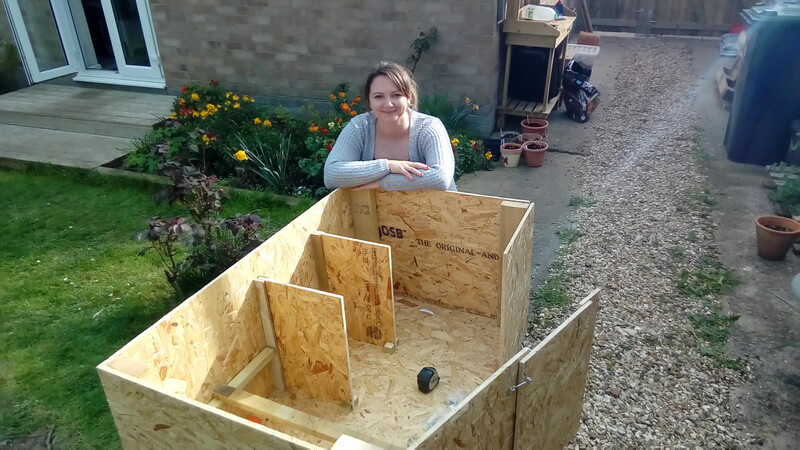 So now, I have run out of space in my home and garden, want to grow my chicken flock, get ducks, have more veg beds and a greenhouse, and space to put a shepherd’s hut. The list of reasons for moving is growing, but the list of properties available is not. Still, life is good and that is something to be grateful for.